Why Can't President Ashraf Ghani End the War in Afghanistan? It is abundantly clear that the people of Afghanistan are longing for peace. It is equally clear that the international actors, led by the United States, are growing weary of indefinitely maintaining a substantial military presence in the country. Banking on this war-weariness, President Mohammad Ashraf Ghani has, since his ascent to power in 2014, been trying continuously to lead the Afghan people and the international actors to believe that he can end the war. He has made several peace overtures to the Taliban, including the most desperate but ineffective 18 days of ceasefire in June. However, the fact that Ghani is incapable of singlehandedly bringing the war to an end and that his vision of a desirable future for Afghanistan fails to ensure a fit between vision and the forces at work are sinking in. Ghani’s economic vision and economist approach for Afghanistan’s future play little or no role in building and strengthening trust in his governance. Both the Afghan people as well as the international actors have sensed that Ghani’s rapacious appetite for power grows in tandem with his efforts to undermine democracy in post-Taliban Afghanistan. On June 27, Ghani published an opinion piece in which he claimed that the arguments about the Taliban – for example that they are proxy soldiers of Pakistan, a terrorist group, and irreconcilable – have failed to produce a usable wisdom. According to Ghani, the “irreconcilability” of the Taliban is a plain assumption. The truth is that Ghani’s efforts towards accommodating the Taliban are directed towards building a narrative that paints the Taliban as “normal.” In doing so, Ghani envisages two lines of response. Firstly, he tries to belittle the organized efforts of many groups inside and outside the country who remain unrelieved from the terror of a Taliban come-back. It is the people’s movements, who are challenging the threatening trends of radicalization in the country, against whom Ghani has directed his monopoly of violence. Secondly, he tries to convince the international community, especially the U.S., that political transformation of Afghanistan remains impossible in the absence of peace, disregarding the fact that the present situation is and will continue to be the result of an undesirable socio-political order. The Pashtun-dominated political system has largely, if not completely, eliminated the possibility of sustainable peace. To achieve socio-political and economic development, amending the constitution and checking the kingly powers of the president are a requirement. Whereas Ghani’s major economic projects seem to be focused on regional integration and promotion of a common market in Central and South Asia, the White House’s growing aggression towards China, Russia, and Iran works as a counter-measure. The U.S. playing up the “threat to security” and increased emphasis on demonstration of military power against Iran will force Iran to shift their policy towards Afghanistan. In this case, America’s interests come into direct conflict with those of Afghanistan, rendering peace-making efforts ineffective. Peace in Afghanistan is inextricably linked to internal political transformation and regional economic integration. The very groups of people that Ghani is trying to degrade are those who actually liberated Afghanistan and the region from the bane of the Taliban. As a matter of fact, these groups are the only ones whose proposed solutions could lead to a viable and just peace. Ending the armed conflict is not nearly enough. Tensions between different political sects in the country are growing to intolerable levels. The first vice president is in exile in Turkey and other influential leaders such as Mohammad Mohaqiq, Atta Noor, Abdul Sayyaf, and Hamid Karzai are ostracized. Although Ghani represses basic rights of the people and resorts to violence, oppression, and compulsion against civilians, his desperate quest for a so-called peace justifies “the terrorists” and “the aggrieved” alike. Because Ghani’s constituents are mostly in the areas where the Taliban has control or exert great influence, his only intention behind his generous peace offers is re-election. He is desperately trying to strike a deal for the time-being regardless of durability. The variety of his attempts to “fix” the situation has only made things worse. Indeed, ceasefire is a precursor to elaborate peace negotiations and an imperative after years of confrontation and bloody interludes. However, unilateral acts of withdrawal should not create an imbalance that benefits the opposite side more than it encourages them to reciprocate. The Taliban showed, by observing ceasefire only for three days as opposed to the government’s 18 days, that war to them is six times more important than peace. There are several underlying causes as to why the Taliban did not continue indulging in this process. Firstly, the Taliban is aware that Ghani’s peace offer fails to provide a sense of involvement among citizens and lacks popular support. The Taliban also understands that Ghani’s unilateral acts of appeasement are not meant to break the deadlock, but to entertain the demands of his patron; the U.S.
Secondly, and by virtue of the fact that the Taliban has always demanded direct negotiations with the U.S. and not the Afghan government, actual dialogue could take place between the Taliban and the Resistance Front. The Taliban seems to be fixated on the notion that it was the Resistance Front backed by the U.S. that toppled their regime in 2001 and thus it is the Americans who can make up for their loss. The disunion among leaders of both the Resistance Front as well as the Taliban, however, is a major obstacle to moving in this direction. Thirdly, and if one chooses to accept the notion that Pakistan holds undisputed sway over the Taliban, Ghani’s peace overtures have fallen short of even preparing the ground for encouraging Pakistan to give their consent for peace negotiations in which the Taliban could participate independently. Issues which are considered “existential threats” by Pakistan are still unresolved. The Durand Line (border between Afghanistan and Pakistan), the resurgence of Pashtun nationalism and the Indian hegemony are the elephants in the room that need to be addressed. 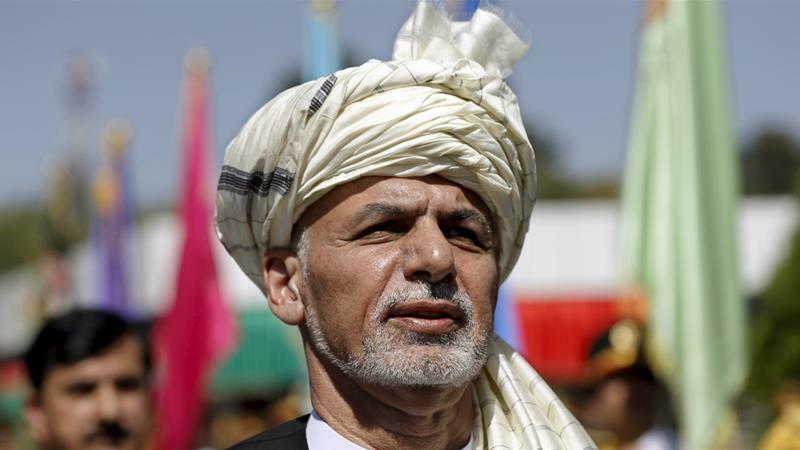 Fourthly, Ghani’s uneven foreign policy generates fear among the country’s neighbors. The U.S. has imposed tremendous economic sanctions on Iran which could result in intensification of war in Afghanistan instead of peace. If Ghani wants to end the conflict, on an international level he must first move away from the notion of taking sides. Nationally, he must abstain from resorting to coercive forms of intervention to secure compliance. 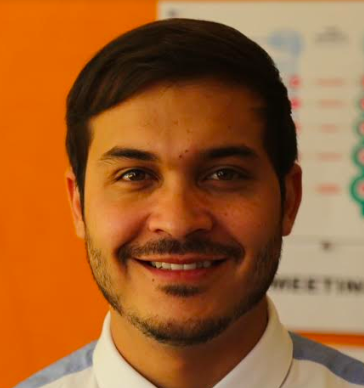 Otherwise the tendency for continuation of war will increase and Ghani’s ability to find a non-military and non-violent solution to the conflict will diminish.